Cincinnati is known for a lot of things. Chili-cheese coneys, flying pigs, and of course, Geotta. Cincinnati has the crosstown basketball game, Fiona at the zoo, King’s Island amusement park, and Findlay Market. When you think of Cincinnati, though, do you think of nightlife? When I think of cities with great nightlife, I think of cities like New York, Las Vegas, Chicago, and Los Angeles. In the past, I haven’t included Cincinnati in the group of major night life cities. However, that is about to change. A study done by Apartment Guide looked into the top nightlife options per resident, “based on the ratio of bars, clubs and nightclubs, breweries and live entertainment businesses to the population.” Many of the top 10 are not cities you would necessarily expect, like St. Louis and Green Bay. Our humble abode, Cincinnati, also made the top 10 list. In fact…Cincinnati was ranked 2nd in the whole country for best nightlife! Everybody knows Cincinnati loves a good beer. Breweries have been a part of Cincinnati since the mid-1800s, and of course with breweries comes nightlife. 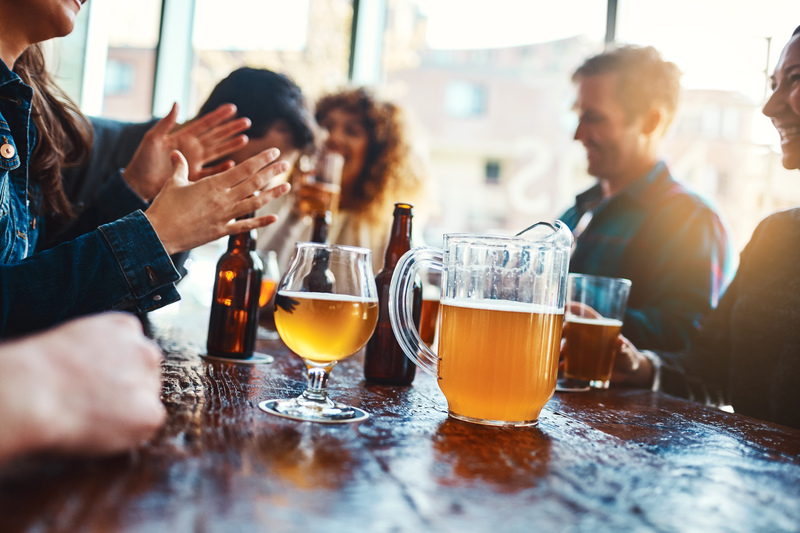 Between Rhinegeist, MadTree, Moerlein, 50 West, Sam Adams, Braxton, Listermann’s, Taft’s Ale House, and the rest of the breweries in the city, there is no shortage of craft beer. In fact, there are over 16 breweries in Cincinnati. In addition to the breweries, there are 157 bars, 78 clubs, and 1 major music and live entertainment venue. This means that there is one nightlife venue for every 1,196 people. So next time you’re ready to get out on the town some night, Cincinnati has got you covered! Check out one of the many awesome place from the #2 city for nightlife in the country. Check out the free Connect Cincinnati app to check out deals and offers for local venues, including night life venues!